The second, new NSGRP/MKUKUTA will be implemented 2011-2015. NSGRP/MKUKUTA is committed to the Millennium Development Goals (MDGs) as internationally agreed targets for reducing poverty, hunger, diseases, illiteracy, environmental degradation and discrimination against women by 2015. The focus of NSGRP/MKUKUTA is outcome orientated and organized around three clusters: growth and reduction of income poverty, improved quality of life and social well-being, and governance and accountability. The former NSGRP/MKUKUTA was approved in February 2005 for implementation over five years and is the successor to the Poverty Reduction Strategy Paper. The Implementation Guide for Tanzania´s new poverty eradication action strategy will give specific guidance on what should be done at all levels of the government- ministries, departments, agencies, as well as local government authorities. The guide is expected to be completed early 2011. The strategy itself – National Strategy for Growth and Reduction of Poverty, NSGRP – is better known in Tanzania by its Kiswahili acronym MKUKUTA, Mkakati wa Kukuza Uchumi na Kupunguza Umaskini Tanzania. 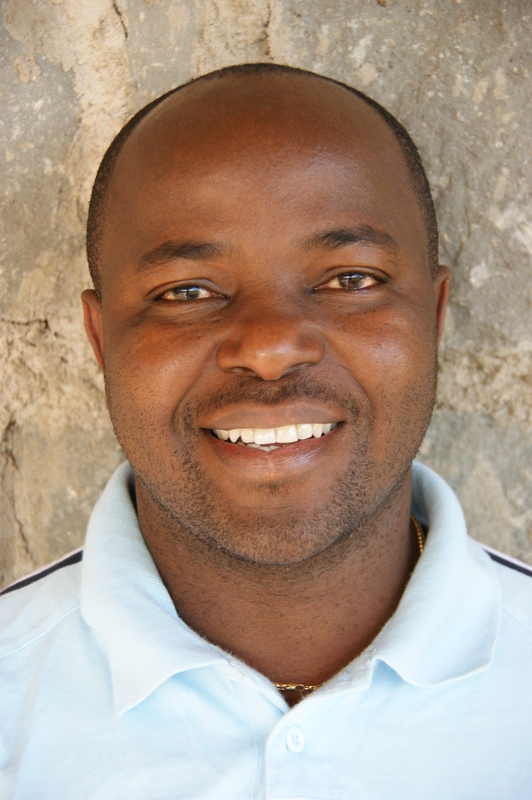 John Kedi Mduma, researcher at Environment for Development initiative (EfD) in Tanzania, was assigned as a technical advisor for the review in April 2009 and has been participating in the NSGRP monitoring process since 2007. “We believe that reduction of poverty must be based on sustainable growth. When we started this work, we wanted the new MKUKUTA for the coming five years to be sharper and more focused and specific, and have a stronger emphasis on sustainable growth,” says Mduma. Several MKUKUTA review studies suggest that the weak link between growth and employment – and the creation of decent jobs in particular – is the main factor behind the slow reduction in income poverty. Thus, in the next five years growth efforts should focus on the sectors that employ a majority of the poor – agriculture being one. Among the finding is that, although the environment issues have been mainstreamed, the funding for environmental issues has not been given enough attention. For instance, some ministries still don´t have an environmental unit, though this is a government requirement. “We also find that the contribution of natural resources is not exploited fully for poverty reduction. The new MKUKUTA sets strategies for raising the contribution of natural resources in poverty reduction, particularly minerals and wildlife,” says Mduma. Wildlife and hunting are large sectors of Tanzania’s tourism. Optimal pricing of these resources as well as anti-corruption measures – overall issues of governance – can raise their contribution to poverty reduction, according to the new MKUKUTA. Most of Tanzania’s minerals are exported raw. MKUKUTA II emphasizes the importance of value addition prior to export. Minerals should be processed to a certain level in Tanzania before they are exported. For example, the famous Tanzanite is currently exported mostly unpolished and uncut, so are the other gemstones, such as diamonds. In Mdumas’ personal view, all contracts with firms mining Tanzania's minerals should stipulate that all processing, polishing, and cutting be done in Tanzania. More processing and marketing of agricultural products will also add value and increase the shelf life of these products – for example selling juice in addition to fresh fruits. The government document - Kilimo Kwanza (Agriculture First) is a guide for development in rural areas and beyond (essentially because Kilimo Kwanza follows a Value Chain Approach – from agro input to agro production, processing, marketing, and distribution). Apart from cereals, processing of agricultural products, especially vegetables and fruits, is crucial for the contribution to growth and poverty reduction. MKUKUTA review also noted that climate change is severely affecting agriculture production, as well as growth and poverty. “We suggest policies to support adoption of crop varieties and livestock breeds that are resistant to climate change. Climate change also affects the energy supply. "We highlight the need to have alternative sources and gradually reduce Tanzania´s dependence on hydropower,” says Mduma. The volumes of water fluctuate and are erratic due to several droughts over the last ten years. Therefore the new MKUKUTA recommends speeding up the exploitation of natural gas and other energy sources such as wind and solar. Off-grid distribution – small hydro or thermal plants – seems to be the best strategy for villages far away from the national grid. “We also need to intervene against the health effects of climate change, such as disease outbreaks. Climate change is likely to influence outbreaks of zoonotic diseases, which attack animals, as well as the spread of malaria where it is not endemic. Such outbreaks will have implications for human resources and budgets, and eventually for growth and poverty reduction,” says Mduma. Population growth and Tanzania´s rapid urbanization are of course highly relevant issues with respect to poverty reduction. Decent shelters in urban areas and urban planning are among the specific goals in the new strategy. Employment is equally important, particularly youth employment. MKUKUTA II states that growth should generate decent jobs in the mineral, tourism and agriculture sectors: Jobs should pay well enough to lift people from poverty, and strategies for labour market regulations are indicated. Mduma enjoys the MKUKUTA work: “Technically I saw a window where I can use my expertise; at the same time by working with the government I have diversified my knowledge and broadened my skills”.